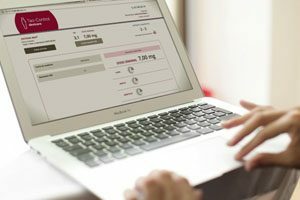 Devicare has revamped the websites for their two medical solutions that are unique on the market (first-in-class): Tao-Control® for chronic anticoagulated patients and the Lit-Control® product line for urinary health. The digital platform www.Tao-Control.com includes an information section on self-control of INR (advantages of self-control, how to improve the control of INR, training and medical follow-up, and rates), an anticoagulated guide, a blog with news and recommendations on the health of anticoagulated patients, and a private area with each patient’s background and information. Moreover, the website www.Lit-Control.com presents the benefits of the first method in the world that allows urinary pH to be monitored by the patients themselves from home, thereby improving the prevention and treatment of recurrent urinary conditions (renal lithiasis, urinary infection, calcification of urinary catheters, painful bladder syndrome, overactive bladder, etc.). The website is divided into an information section (what it is and who it is for, how it works, activation of the medical device, etc. ), where it is recommended urinary pH be controlled, and an online store for dietary supplements that help regulate urinary pH. “The new design of the webpage extends our service and care to the medical community, healthcare professionals and patients” said Adriana Alonso and Alberto Bofill, Therapeutic Area Managers for Tao-Control and Lit-Control, respectively. Devicare has extensive know-how in the development of medical solutions and devices to help improve the health of chronic patients. The company is currently undergoing a process of international expansion and is present in Spain, Mexico, Colombia and France.